This blog is not what you think. It is not about taking a Krav Maga test and blooding up your opponent, or coming out of a test all bloodied up yourself; all great signs of manhood, machismo and glory. Sorry, out grew that stage. You should have met me thirty years ago. There is a place for that, don't get me wrong. There is a place to test yourself, to prove yourself, to "take a beating and keep on tickin'. And we still do that, but in a controlled environment. At the higher levels, for those who want it and are ready for it and have proven themselves, we still put on the gear, take a training knife, put on loud music, and pretend we are a terrorist hell bent on killing you and meeting a virgin. Personally I think there must be better ways to meet women, but, I am certainly no expert. Action, adrenaline rush, feels great. You limp out of the gym and you just feel like Rocky Balboa training at the "Blood Bucket". But is this enough? And is this real self defense? Will this protect your 9 year old daughter? Will this serve you well when you hit 75 years of age? Will this really help you against a street thug with a knife who does this sort of thing "for a living"? There is a place for this aggressive training, now and then, but what about training your mindset to cope with fear? What about understanding how a handgun works? What about situational awareness. Lets not forget the techniques, the concepts, the mind. At IKI Krav Maga we focus on you understanding the concepts. Our members come up with new questions, new situations all the time, I love it. And they try to apply the concepts that they have learned, that is great. We are growing. Give a man a fish and he eats for a day, teach him how to fish he eats forever, and gets plenty of Omega 3. Teach a Krav student one knife defense and he knows...one knife defense. Teach him the concept and he can defend against a thousand attacks, some of which we will never come up with in training. We have had many cases where a member was faced with an unfamiliar situation but was able to apply the IKI concepts and get away. But why? I said, sounding like a small child. "I already did that test recently. Why do I have to come back here tomorrow?" "Well", I was informed, "You are not so good at gauging time, that was in 2011, now take this form and go to the nurse". Bummer, 12 hour fast, no coffee in the morning, darn, I hope I passed. But why? The reason is simply, and it is the reason why I must keep training and teaching IKI Krav Maga seminars, because time passes and things change. I show up at a seminar and I just assume that everything is exactly the way I left it a year ago, but no, it is not. Human nature, people forget things. People are doing techniques poorly and need corrections. That is fine, that is my job, that is why I am here. The Krav On Line training is great but we also need some Hands On Training. The problem is when you say, "But why? "We had Moshe here in 2011 and we trained for 3 hours!" Well, maybe you are one of the lucky ones, gifted, your eyesight has not changed since high school, you remember everything you learned in college and everything your wife complained about last night, but my experience tells me that most people need a check up, a blood test. In addition with IKI a great deal can evolve and improve in 6 months, certainly in a year. Sometimes I will see a technique and say, "Who taught you that!?" and the answer is "You", but it was a long time ago. Things change. Just as the nurse told me that it has been a while since my last test, so I say to my students, you need regular check ups, you need to train with me. At our international seminars, at Tour and Train if you have the time. You are wearing a black belt but when have you had your last check up? You bring your car in for a check up/Tune up, you visit the dentist to have a checkup, the doctor, the accountant, "But last year there was plenty of money in my account, why do I need to go through this every year?" and...you need your Krav Maga checkup. Now what was the first word in this blog? You need to look it up? So you are not one of those with a perfect memory. You too need a Krav Maga check up. Be there for your check-up! 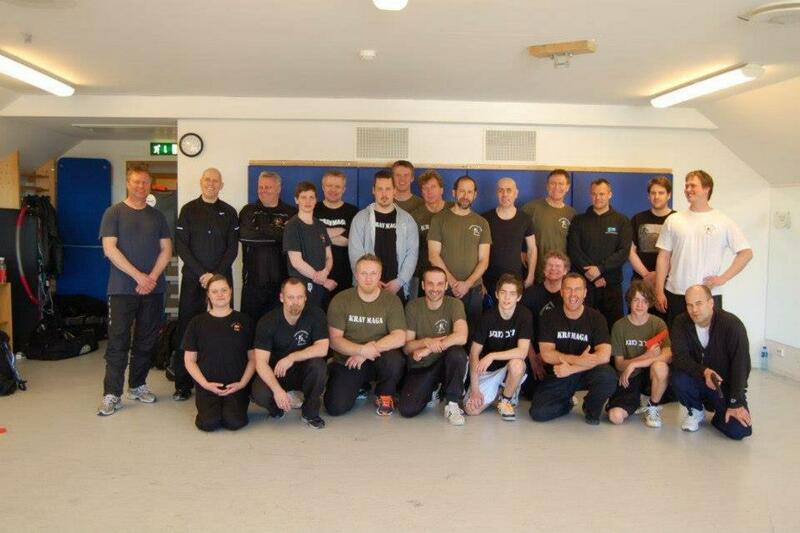 Seminar, Norway, with students from all over Norway and Denmark. IKI Norway hosts two seminars per year. 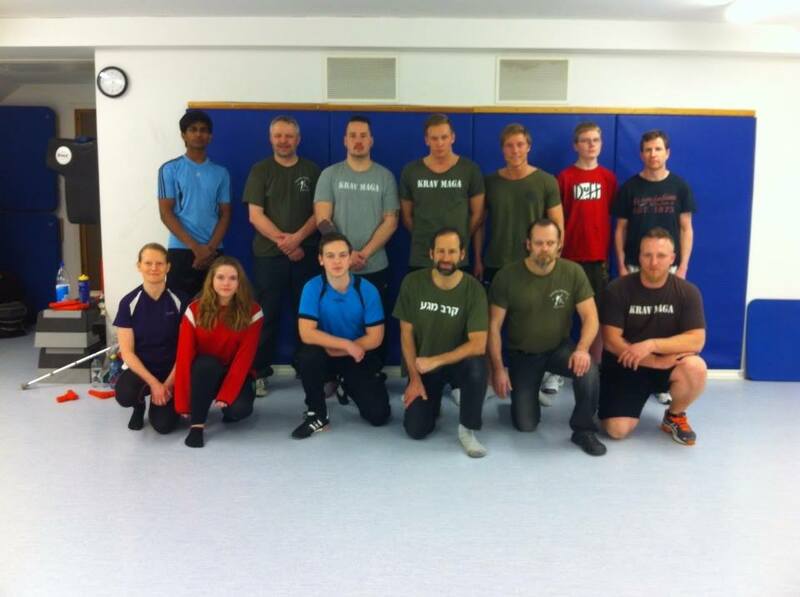 Trimlovan Gym, Frogner, Norway, weekly Krav class. IKI Black Belt Instructor Morten Wang, making sure he is totally up to date with what we are doing in Israel. Morten has hosted at least seven seminars.